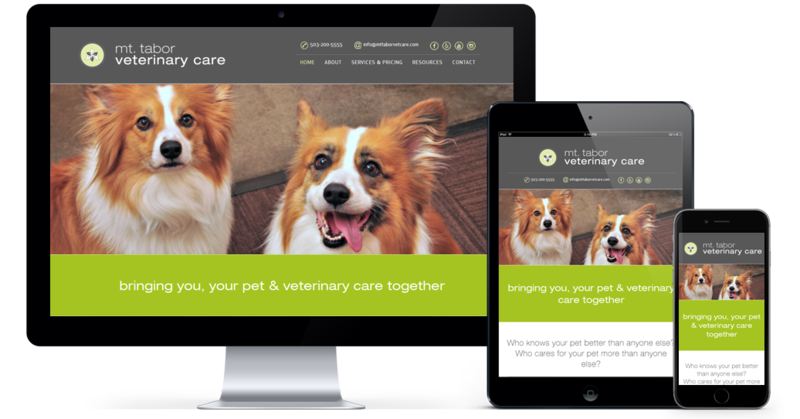 Now Creative - Case Study - MT Tabor. Mt. Tabor Veterinary Care is a full service veterinary facility offering comprehensive exams, wellness care, medical care, digital radiography, dental services, and safe anesthetic and surgical services. I was tasked with redesigning their website. The clinic's old site was tired, dated and rigid. It failed to represent the business the way the owners wanted. Bringing it up to date and making it more engaging and professional was a key aim. It was also important to use a reliable CMS and provide a responsive solution.